Mr Joel Lou is the Co-Founder of Blue Cloud Ventures, a software-focused venture capital firm based in New York City addressing gaps in the growth stage funding market. As the operating partner of Blue Cloud Ventures, he works with the fund’s portfolio companies on expanding their operations into Asia, including recruiting top talent and establishing channel partnerships. Joel was conferred the “Most Promising Entrepreneur of the Year” by APEA in 2011 and the “Young Professional of the Year” in the IT leader awards in 2012. 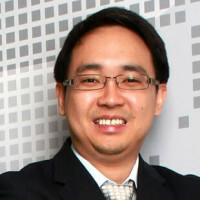 He is also active in the Singapore tech community and also contributes as an adjunct lecturer for the International Trading Institute at the Singapore Management University.